Our veterinarians understand that accidents outside the litter box can be a hassle. There are many reasons an accident may occur: undiagnosed medical condition, substrate preference, dirty litter box, aggression between house cats and other stressors. 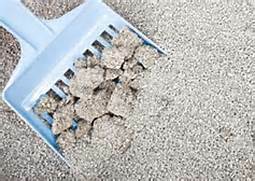 By far, the most important way to make cats love their litter box is to keep their litter boxes clean by scooping them at least once a day. You should also have one more litter box than the number of cats in the house. If you have two cats, you should have three litter boxes. This increases the chances that a clean litter box will be available. 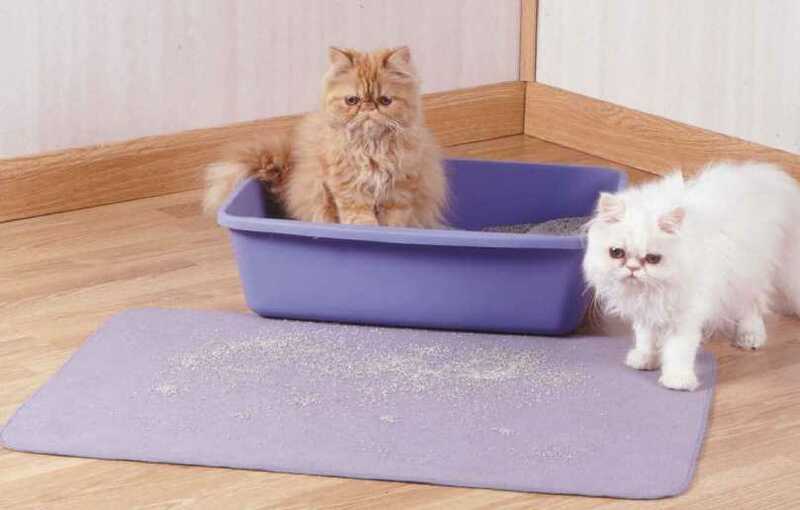 The litter boxes should not be all in one place. If you have stairs, you should have one litter box on each level of your home. The best place to put a litter box is in a private, quiet area because no one likes to be bothered when they are in the restroom. 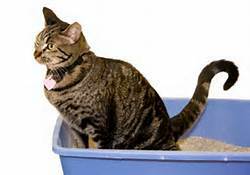 Kingbrook Animal Hospital recommends large litter boxes so your cat has plenty of room to scratch and move around. Most cats prefer litter boxes that are NOT hooded, because they can hold in the odor. Make sure the litter is at least 3-4 inches deep to allow for proper coverage. Most cats prefer unscented, perfume free, clumpable litter. 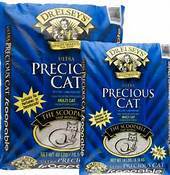 Our veterinarians recommend Dr. Elsey’s Precious Cat litter. Lastly, completely dump out and wash the litter boxes with a mild soap (not bleach or ammonia) every 2-4 weeks. As always, if you have any questions about your cat’s health contact us at 301-631-6900 for an appointment. This entry was posted in Frederick MD, Kingsbrook Animal Hospital, veterinarian on September 24, 2013 by yourfriends. Here at Kingsbrook Animal Hospital, we understand that there are some behaviors that our pets may exhibit that are undesirable. 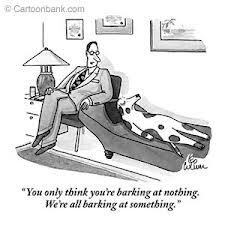 Barking in dogs is one of the most common complaints amongst owners. Dogs bark as a natural form of communication and may be caused by a number of different feelings including: anxiety, frustration, boredom, stimuli, or fear. Understanding why dogs bark may help to keep barking under control. Excessive barking in dogs can be prevented early on by socialization and creating routines. The more familiar dogs are with different surroundings, people, and other dogs will help them feel more confident and will reduce feelings of anxiety or fear. A perfect place to start is puppy class, Laurie Luck of Smart Dog University is a certified dog trainer and holds some of her sessions right here at Kingsbrook Animal Hospital. 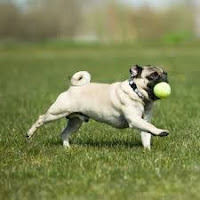 Socialize your dog at a dog park, Like Ballenger Creek Dog Park in Frederick, Maryland. Dog parks don’t only have other dogs, but people too! What a perfect opportunity to meet new friends. Dogs in general are creatures of habit and when there is a clearly set routine around when they eat, have a bathroom break, or go on a walk will decrease frustrations because they will know exactly what and when to expect it. Frustrated dogs may not only bark, but may also become destructive. Set clear routines in your household and prevent problems before they have a chance to start. 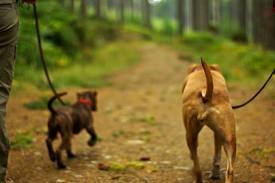 Exercise is also a very important part of any dogs’ daily routine. Imagine being cooped up inside, and only being allowed to go to the bathroom…anyone would become stir crazy!! 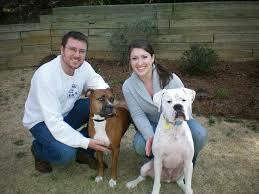 Exercising your dog will keep them healthy and reduce boredom and frustration which can lead to excessive barking. Have fun with your dog, play fetch, take a walk, make new friends at a dog park, go for a hike, take your dog swimming. 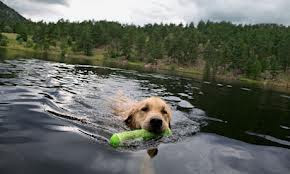 And physical activity that provides mental stimulation will keep your pooch happy. So, the bottom line is…socialization, routine, and exercise can help prevent un-necessary barking. 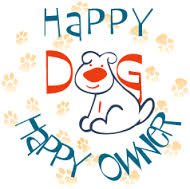 Happy dogs=Happy owners=Happy homes!! This entry was posted in Frederick MD, Kingsbrook Animal Hospital, veterinarian on September 17, 2013 by yourfriends. The ASPCA sent out this report for 2012- just some interesting facts and food for thought. It’s fun to review the past year and take stock of your accomplishments. Here we look back at the number of pets we were able to help, the most bizarre qustions we received, and of course the most common toxins we were asked about. In 2012, we opened 180,320 cases. Wow, that’s a lot of animals helped! the No. 1 breed we received calls about was the Labrador Retriever; the second most popular naughty dog was the Chihuahua. The unusual species we helped was a Fur Seal. While April showers bring May flowers, the Easter bunny brings lots of lily exposures. Last year, APCC handled 558 cases involving cats exposed to lilies (Lilium or Hemerocallis sp). According to one study only 27 percent of owners whose cats were exposed to a lily knew it was toxic prior to the pet being exposed. While it only takes a small amount to potentially cause renal failure, if it is caught quickly, steps can be taken to prevent life-threatening problems. Please make sure your clients are aware of this dangerous kitty toxin! Did you konw that March 17-23 is National Poison Prevention Week? To celebrate this very important week, we will be hosting special events, including a radio tour to help educate the public about preventing pet exposures to toxins. Please follow us on Facebook and Twitter to get the exciting details! 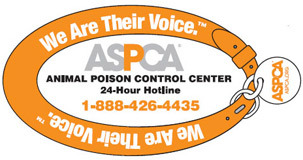 This entry was posted in ASPCA, ASPCA Poison Control Hotline on September 11, 2013 by yourfriends. A common deworming drug can be used to kill bedbugs. It was a visit to a cousin in New York City two years ago that inspired Thang D. Tran, a medical student at Eastern Virginia Medical School, to volunteer to become a human booby trap in the war on bedbugs. “She told me everyone in New York was scared of bedbugs,” he said of his cousin. So when Dr. Johnathan M. Sheele, an emergency medicine specialist at his school, asked for volunteers to test a new way of killing the pests, Mr. Tran raised his arm. Soon, it was covered with itchy welts. Dr. Sheele’s study, released at a tropical medicine convention in November, unveiled a possible new superweapon against Cimex lectularius: a deworming pill.You take the pill and go to bed — perchance even to sleep, if you can sleep knowing how patiently bedbugs wait in your walls or mattress, sniffing for the sweet stream of your exhaled carbon dioxide and for your warm skin to grow still. You let them bite you. And then — in a few days — they die. The technique is known as xenointoxication, which sounds like intergalactic beer pong but in medical pathology is Greek for “poisoning the guest.” In Dr. Sheele’s study, over 60 percent of the bedbugs died after volunteers like Mr. Tran took a single pill. Bigger or more regular doses might improve the lethality. And it’s not as if the drug is rare and dangerous. It’s already in thousands of American households: ivermectin, the active ingredient in the beef-flavored Heartgard Chewables that kill heartworm in dogs. Ivermectin is also very safe. Millions of doses have been given to African children to kill the worms that cause river blindness. Many Papua New Guineans get double doses to kill scabies. One early study of the drug found that up to 10 times the normal dose was safe.Ivermectin attacks a type of “gated chloride channel” in the nerves of insects that does not exist in mammals. Dr. Hotez’s hesitation is mostly that bedbugs, unlike body lice and worms, do not cause disease, so xenointoxication seems heavy-handed. But many Americans, including many New Yorkers, are so terrified of the bugs that they have spent thousands of dollars fighting them, so ivermectin could be cost-effective. Dr. Sheele speculated that ivermectin might be best used in combination with current measures like pesticides, desiccant powders, mattress covers, heat treatment, steaming and vacuuming. While it might not work alone, it could give exterminators a head start. Because each bug feeds only occasionally, he said, “I don’t buy that a week would do the trick. I think you’re going to need two, three, four weeks. And that’s concerning. We don’t have any toxicity data like that.” Like Dr. Sheele, he favors more testing of multiple doses. He knew about ivermectin’s power to kill skin parasites because he had done a fellowship in international emergency medicine, he said. His school provided financing but was nervous about letting him officially import bedbugs to campus, so he had to borrow the lab of a tick researcher at Old Dominion University. (Mr. Tran remembers it as humid and redolent of lab rats.) 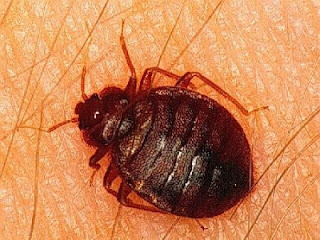 Eastern Virginia Medical School also wanted animal studies before he recruited medical students, so he dosed mice first; in that case, 86 percent of the bedbugs died. Now he hopes to find support for a full-fledged clinical trial. And he is working on a new project: If xenointoxication kills bedbugs, he surmised, how about ticks? The parasite-host relationship isn’t as predictable as it is between bedbugs and their dinner. But the stakes are higher, since ticks carry serious diseases like Lyme and babesiosis.“It could be interesting for people who have to spend a lot of time in the woods — like soldiers,” he said. This entry was posted in bedbugs on September 4, 2013 by yourfriends.